TPAS has re-launched its awards scheme with new categories, a changed format and different location for the event. The organisers marked the occasion in style with a vibrant new trophy design for the winners, created by Special EFX. TPAS is the independent tenant engagement organisation, which acts on behalf of tenant communities, and each year celebrates the work of a host of people involved in the sector, including volunteers, landlords and contractors. Once you have found a successful formula for an awards’ scheme, it can be tempting to stick to it, year after year, regardless of what is happening in your industry. Likewise, trophy designs – why come up with a new look and striking design if nobody complained about the old one? However, times move on and before you know where you are, your once popular event that was the go-to awards scheme of the year, can become an also-ran. Likewise, it can be surprising how trophy designs can one year be ‘on-trend’ and the next start to look a little dull and passé. A spokesperson for the organisers explained they took advice before updating the trophy design. “Connect In Events has been using EFX for over 10 years to design and produce awards for all our clients’ events, we wouldn’t go elsewhere as EFX is reliable, produces high standard awards and, most importantly, nothing is too much trouble. Not only did the trophies get a complete re-vamp but the format of the Awards changed to a national event with no regional heats. 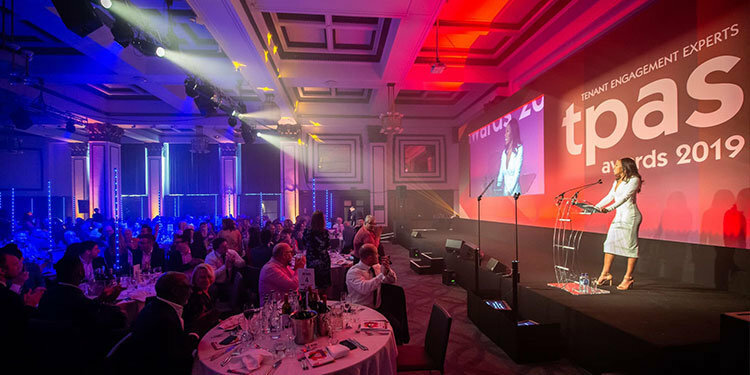 The Awards ceremony took place 29 March and was held at The Principal Hotel Manchester; each year the event is set to relocate to different parts of the country, increasing its relevance and appeal. 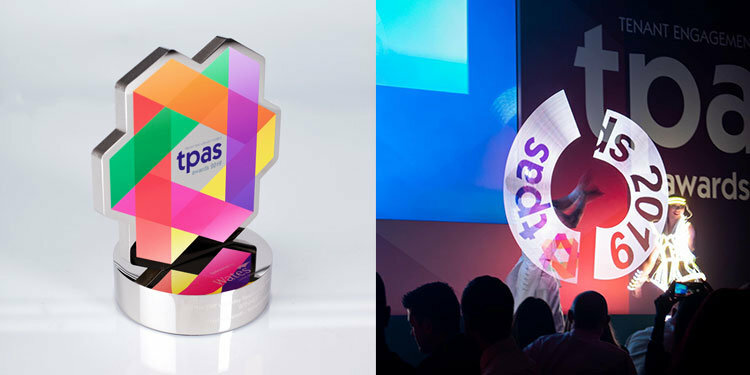 The new trophy design mirrors the TPAS logo shape but in a three-dimensional format. The stylised hexagon is manufactured in water-jet cut solid aluminium, and plated in a dazzling polished nickel finish, which is screen printed with the TPAS multi-coloured logo. The sponsor’s details are laser engraved onto the top surface of the plinth, whilst the winner’s information is engraved onto the front of the cylindrical plinth. The 2019 winners were announced at the luncheon ceremony, which was hosted by Diane Modahl MBE, the Olympian athlete. Nominations were reported to be strong. The new categories included a Lifetime Achievement Award, which seems to attract wide appeal and increasingly appears on customers’ final engraving lists.